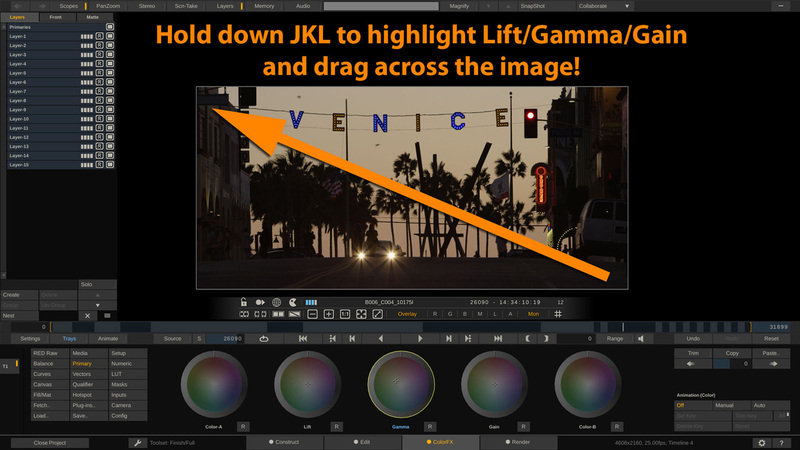 Did you know… that you can use JKL in the ColorFX tab to control Lift, Gamma and Gain? mouse wheel to adjust the ring for master luminance, or click and drag across the image to move the color ball. SCRATCH has from the very beginning been designed to also work great for artists that do not have access to a control surface, and need (or want) to work with just pen&tablet.